If you are looking for information on the Vino 100 franchise business opportunity, Vino 100 franchises or Vino 100 franchising, then you have come to the right place. The growth in wine consumption occurred despite a sluggish economy. Wine is increasingly becoming mainstream. More Americans are discovering wines and incorporating it into their lives and lifestyles. Today consumers seek better, more interesting wines which taste of quality but are reasonably priced. They understand that wine does not have to cost a lot to be good, but many consumers are not sure where to find good inexpensive wines. Vino 100 is just what the consumer is asking for. We make sure we deliver great wines at reasonable prices. We taste hundreds of wines from vineyards all over the world. Less than 1 out of 200 wines we taste make the Vino 100 cut. Combine great wines with an innovative, new merchandising system and top it off with a growing market and you have a unique and very real recipe for retail success. What is missing from this mix are great store owners to help is in building the Vino 100 wine retailing concept. It gives us great pleasure to introduce this exciting business opportunity to you. At Vino 100 our goal is to make the business of wine an enjoyable experience for our store-owners and our customers. Vino 100 is one of those rare concepts that people hear about and immediately understand. Quite simply they "get" it. It makes sense. And once in the store as Vino 100 customers, they love it! It is their enthusiastic reactions that motivated us to begin to franchise this concept around the country. So we developed Vino 100, a different type of wine store. Vino 100 offers our customers a comfortable, affordable and fun way to buy wines. We even guarantee our wines and stand behind each bottle we sell, which gives us credibility with our customers, and actually increases their purchases. We created a store design that ensures that the wine is the star. Each wine is showcased on its own pedestal accompanied by our unique Vino 100 Wine Barometer tm, a graphic, easy-to-understand wine rating and information system. We capture this information in our Wine Palate Computer System, and use it to tailor our marketing efforts to further strengthen our relationship with our customers. Our Vino 100 store is brilliant in its simplicity and user-friendliness. We offer great wine values and a store atmosphere that is information-based, comfortable and fun for both our employees and our customers. That our store concept is appealing has been repeatedly confirmed to us by the frequent return visits by our customers, and their insistence that their friends and families join them when they next stop in and shop with us. From a business point of view Vino 100 is economical in terms of its size, personnel and inventory requirements. The wines we feature are small batch, artisan brands from around the world, rather than the more commercialized, heavily discounted major brand names. Our expert team travels the world to discover little-known, but superior quality wines and vineyards, which allows us to offer a selection that won't be found in other stores, and to realize above-industry gross margins. As a Vino 100 franchisee, you will enjoy the challenge and benefits of independent business ownership, but you will also be afforded the constant and continuous team support that goes along with becoming a Vino 100 franchisee. You will receive a complete initial classroom training program, which will be followed by ongoing in-store field support and training in all areas of your business operation (financial, merchandising, product information, field support and store visits). Along with ongoing product support and promotional assistance you will be on the cutting edge of the industry, with new products, product information and point of sale materials and signage support. Our experienced staff can help you to set up almost every aspect of your business. 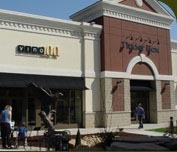 You will be dealing with experienced franchise professionals who have built our sister franchise company, Tinder Box, America's oldest and largest retail chain of cigar and gift shops. But we need great people to help us expand Vino 100. If you "get it" and want to join us in this effort, we would love to discuss this opportunity with you further. Since the beginning of civilization, wine has been a source of pleasure to mankind. Wine is one of the first things man created. It is woven throughout the tapestry of human history like few other products. It is part of our traditions, cultures and rituals. 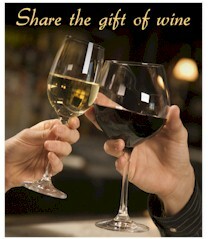 Wine has been cherished and enjoyed, it has turned meals into feasts and ceremonies into celebrations. It has been enjoyed. Rarely do we have the opportunity to cultivate from a passion and tradition such an enjoyable and profitable business concept. Not only has wine been a part of our history, we are now watching the wine industry enter a new era. In the United States, wine sales in the year 2002 climbed to its highest levels in history. American tastes have driven sales of premium wines to record levels. Current statistics put the retail wine business at 25 billion dollars with the fastest growing retail segment of the wine industry are the price points sold and marketed at Vino 100. We want to find great, motivated people and help them become successful business owners. We are more interested in quality franchise owners than in quantities of franchises opened. We seek to develop a mutually beneficial partnership, and we encourage an open and honest dialogue between us and our potential candidates that continues on when they become franchisees. We want people to achieve financial success, and, of equal importance a meaningful, and enjoyable way of life. Vino 100 is a wonderful business to operate, especially if you enjoy people. Our customers look forward to visiting our stores and discovering the new wines we have to offer. Our approach is one of developing customers who become our friends. We try to learn their likes, dislikes and preferences in order to cultivate ongoing relationships. Most importantly, when a customer leaves with a smile from learning something about our wines we feel that we have done our jobs properly. Even better, we know that he or she will be drinking the wine and returning very soon for more!